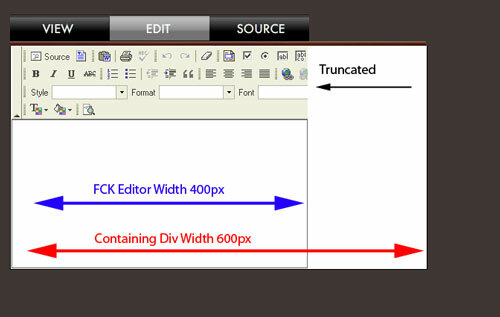 The containing div's width is 600px. For some reason the FCKEditor is getting CUT OFF? I've attached a photo to illustrate. Im trying to give users an idea of how big the content to edit window is so I need to set the width dynamically. I cant believe im the only one with this problem?